RSVP by emailing Elizabeth Kraemer ekraemer@unoalumni.org or calling 402-504-3343. Please include first and last names of all guests. 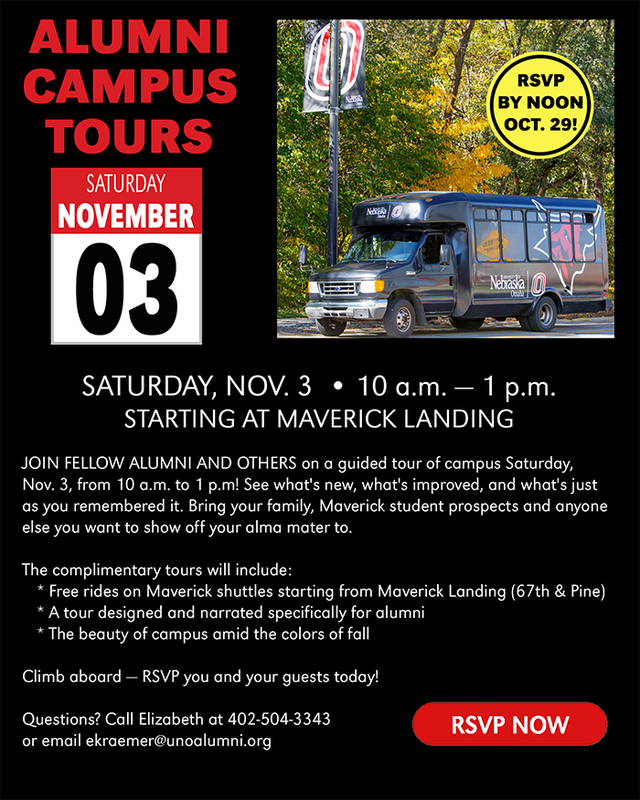 Notify us if you would like mobility assistance during the campus tours.